Bag of Pink Candy Hearts. 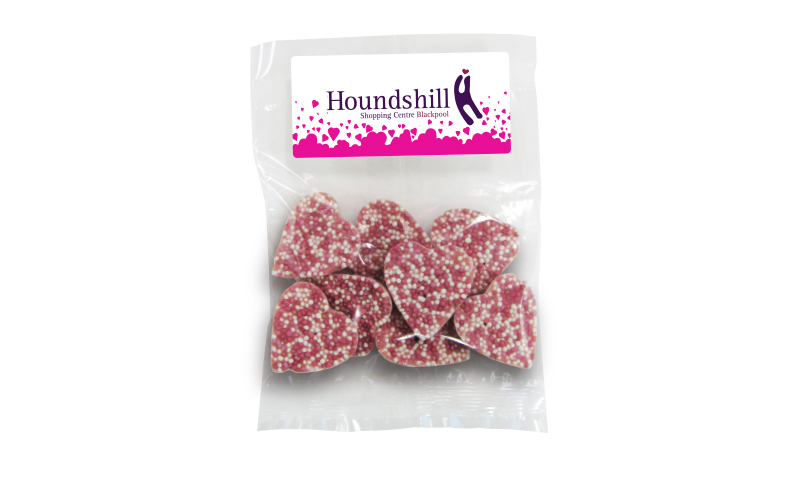 Clear bag containing 50g of Pink Candy Hearts and personalised with a digitally printed label. An alternative choice of confectionery for promoting your brand or great as Wedding sweets. Other options available in our Valentines section.